This toy is not suitable for ages under 3 years. It contains one or more of the following items: marbles, small ball, or small parts. 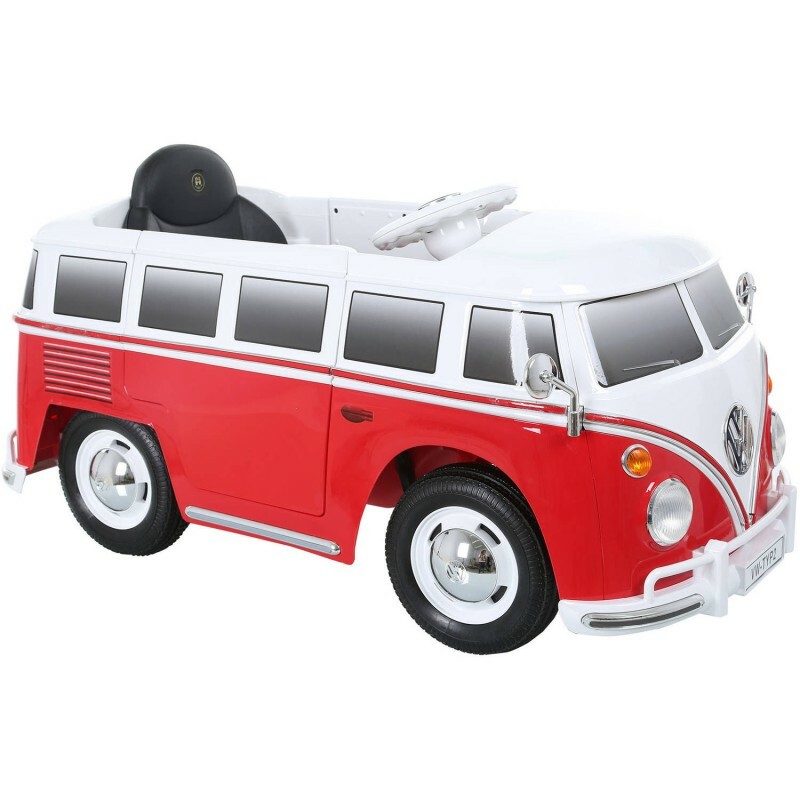 The classic exterior and the innovative interior allows kids to experience a unique vehicle. This bus can drive both forward and in reverse with a speed of 2.5 mph. 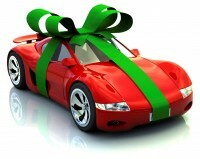 Other exciting features include two opening doors for easy in and out, working headlights and realistic sounds. It also has a MP3 connector, no-slip rubber traction slips and much more. 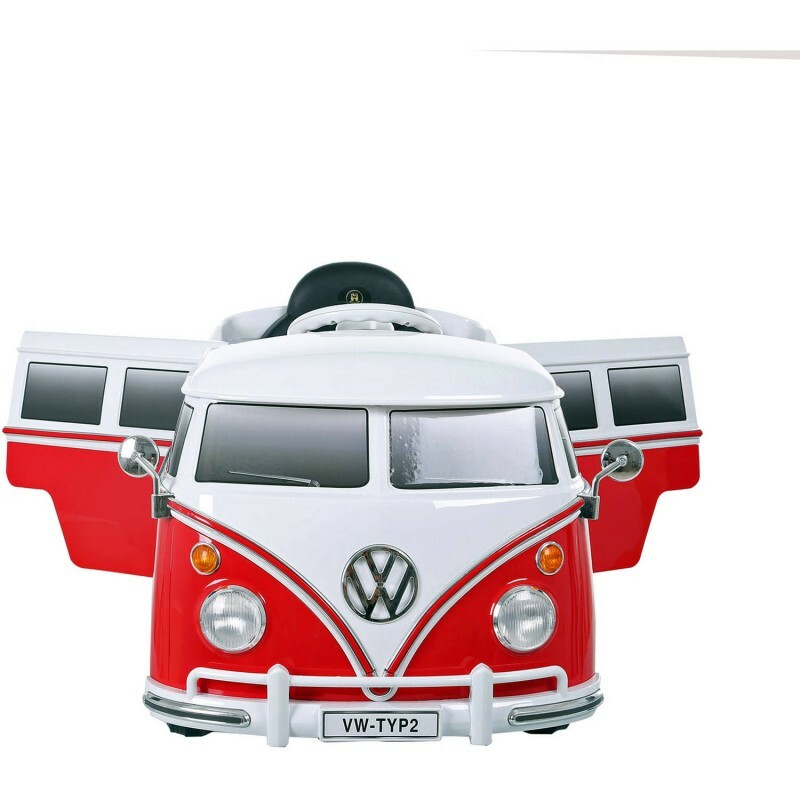 Kids will jump back in time, but jump forward in fun with this VW bus toy. Sculpted from heavy-duty plastic, the frame is sure to stay free of rust. Minimal assembly is required before use. The chrome details add a stylish look to this item,while the tires make off-roading a breeze. 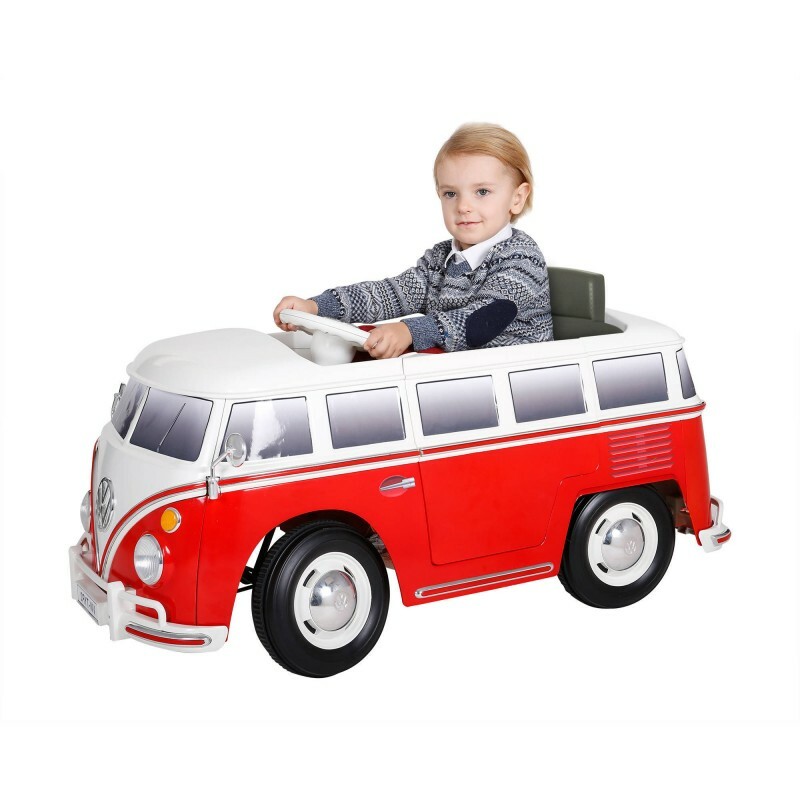 The charge time is around 8-12 hours and it is recommended for ages 3 and up. It has a weight capacity of 77 lbs and can accommodate one rider. A battery life indicator lets you know how much playtime is left before a charge is needed. 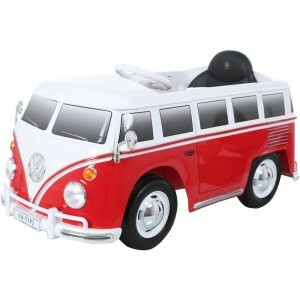 Children will be delighted to have a method of transportation of their very own.